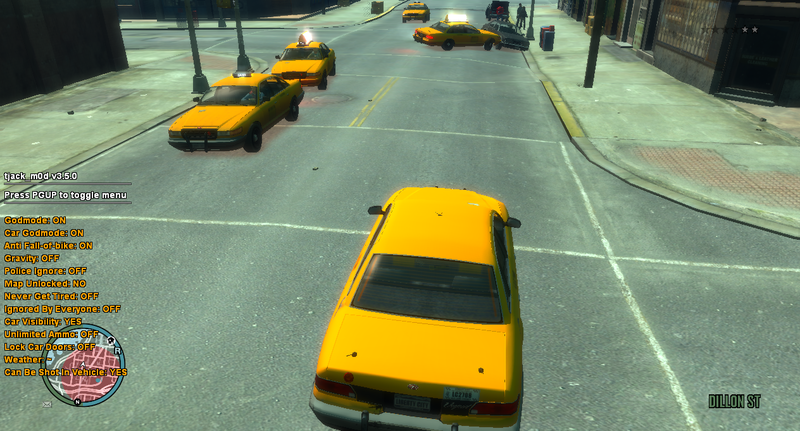 The tjackm0d is a mod for Grand Theft Auto IV that gives you a good array of abilities, it is best used for multiplayer which means all the more destruction for us, it also works on singleplayer. Tjackm0d also works for The EFLC series. Numpad 7 - [Multiplayer] Get into players vehicle. Numpad 8 - [Multiplayer] Go to player. Numpad 4 - [Multiplayer] Super Explosion on all players. Numpad 5 - [Multiplayer] Simple Explosion on all players. Numpad 6 - Spawn bodyguard. Anything we post here will be safe.